No, we don’t need to pull out the shag rug and disco ball. Arc lamps have been around for decades but their appeal and functionality have not diminished, even if their original chrome finish has. I love what this lighting option can do for several room scenarios, and you’ll find that I’ve used arc lamps in several of my portfolio photos on Flickr. Brought on by the modern movement, there has been an evolution from shiny silver chrome and a smooth, arching shape to more traditional finishes and styling. Arc lamps can be appropriate for any room style, and any room for that matter. Some of my favorite styles include fabric or linen drum shades, pharmacy lamp styling, and flexible directional illumination capabilities. Use in dead corners of a furniture grouping, freeing space on a nearby table for a floral, photos, or accessories. Place alongside a grand piano and use as music lamp for a dramatic effect. In a small dining room or eating area, use instead of a chandelier. Use two lamps coming from behind a bed placed at a 45° angle in the master suite. 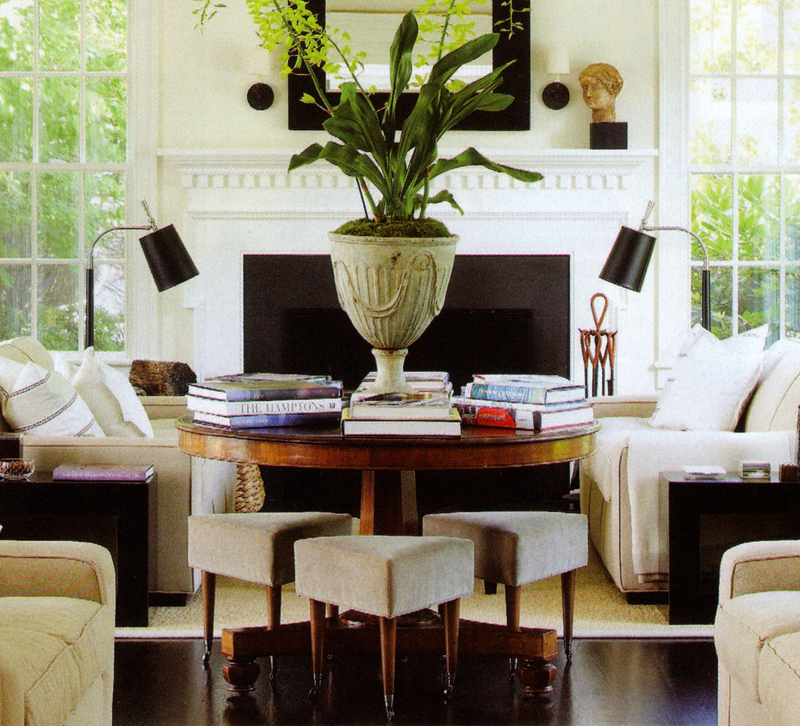 Place behind a floating arrangement, such as an open-spaced sectional or grouping. **One of the cutest uses I found was in a nursery, although if you have a climber, that may not be the best plan. previous post: You have the freedom to create a beautiful home!